Android OS, v4.1.1 (Jelly Bean), upgradable to v4. 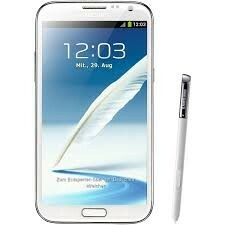 The innovative Samsung Galaxy Note II is bigger size phone distribute the efficiency of a PC, Via touch or super-sensitive S-Pen put in, you can draw, write, and capture or crop elements from any screen speedily and with no difficulty in Samsung Galaxy Note II. For now, a large 5.3” HD screen. It comes with six bright and smart colours. 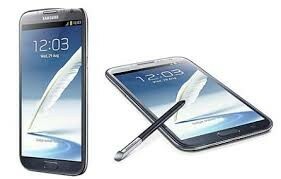 Samsung Galaxy Note 2 has revolutionised the industry of smartphones throughout the world. 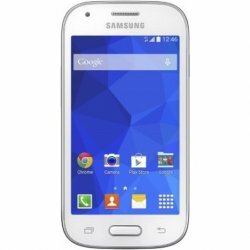 In 2012, Samsung released this phone and gained great revenue. Android operating system is installed on this phone that can be upgraded to Android KitKat v5, which is the latest Android Operating system. A 5.5 inches display makes it apart from other smartphones. 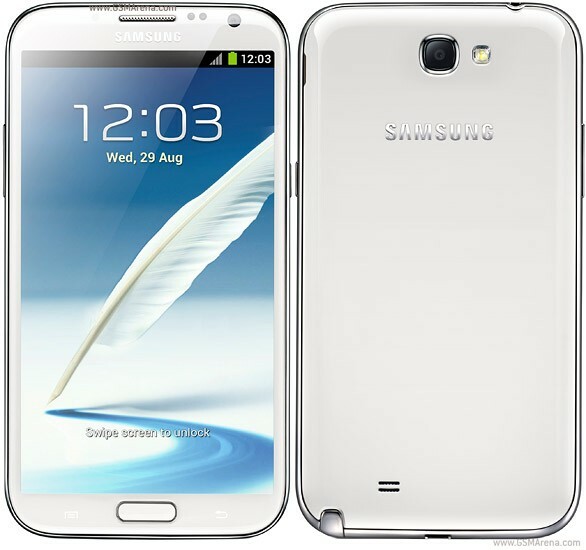 You can easily buy Samsung Galaxy Note 2 as it is available anywhere in Pakistan. Display of this phone makes it unique. A 5.5 inches smartphone lies between the phones and tablets. Super AMOLED LCD of this phone is a way durable and stronger than simple LCD phones. High resolution of the screen makes it possible to watch HD videos without any loss of quality. The battery of this large display smartphone is very long lasting. With the long standby time, this smartphone is able to make calls for a very long period. Unlimited phonebook allows the user to store thousands of contacts along with the pictures. You will find thousands of applications that can be installed in Samsung Galaxy Note 2. A number of games and social applications are already installed in this phone. You can stay connected to the world with these social applications. If you have experienced 2G and 3G networks before, then it is the time to experience 4G network with your Samsung Galaxy Note 2. You cannot compare this phone with other smart phones. However, due to its large size, it is difficult to keep it in your pocket, but at the same time, you will enjoy a number of features that no other smartphones provide you. This phone is available at the price of Rs. 43,000.